The government will soon issue a policy on electric vehicles and those based on alternative fuels, announced Prime Minister Narendra Modi on Friday, September 7. He was speaking during the first edition of MOVE: Global Mobility Summit, a two-day event organised by Niti Aayog on developing transportation based on clean energy. Modi promised global technology and automobile companies a stable policy regime to make India a pioneer in electric mobility.“We will soon put in place a stable policy on electric vehicles and other alternative vehicles… we will do whatever it takes because it is our commitment to heritage and our future generations,” Modi said in his 30-minute speech on the first day of the event. The government currently doesn’t have a separate policy on electric vehicles, according to a report in Moneycontrol.com. 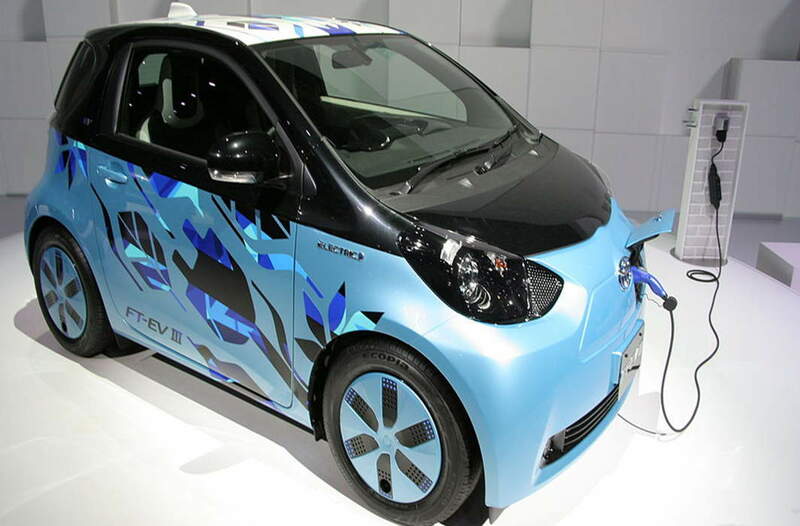 The department of heavy industries has, since 2015, had a framework called FAME, which stands for Faster Adoption and Manufacturing of Electric Vehicles, that provides subsidy to electric car manufacturers. The second phase of FAME is expected any time now. According to sources, the finance ministry has approved Rs 5,500 crore for the second phase, of which Rs 4,500 crore will be to provide subsidy to all electric vehicles. The prime minister said mobility is the next frontier in the world’s fight against climate change as it accounts for one-fifth of the world’s carbon emission. He said India is best placed to be an early mover in adoption of transportation solutions based on clean energy. “India has inherent strength and comparative advantage. We have fewer vehicles per capita than other economies. We do not carry the legacy of other economies which were built on private car ownership,” he said. Modi said that India will do whatever it takes to usher in electric mobility in a big way as it holds immense promise for economic growth and ease of living. “We want to drive investments across the value chain from batteries to smart charging to electric vehicle manufacturing. We will soon put in place a stable policy framework for electric and alternate fuel powered vehicles. Policies will be designed as a win-win for all and will enable huge opportunities in the automotive sector,” Modi told industry leaders. The aim is to have a policy to have a comprehensive set up for a robust and affordable electric mobility ecosystem comprising production facilities and a widespread network of charging points. This would help achieve three key strategic goals – cuttingdown carbon emissions, creating new job opportunities and reducing use of crude oil, about 80% of the requirement of which is met through imports. Earlier in the day, Narendra Modi met executives from electric vehicle manufacturers, battery makers and technology at an exhibition of their new offerings in the capital. India aspires to have all new vehicles sold from 2030 to be electric. Many businesses, including state-owned fuel retailer Indian Oil Corp and power producer NTPC Ltd, have ventured into setting up charging stations to tap opportunities arising from a transition to electric mobility. One key challenge to realising the goal of electric mobility is the high cost of batteries which policymakers hope will come down with new technology and economies of scale. Modi told industry executives that India has doubled the pace of building highways and is connecting more towns with new air routes besides promoting fuel efficiency. “Let us create a template for the world to adopt,” Modi said. The summit has over 1,200 delegates from the world over with several promoters, chief executive officers and other senior officials of multinationals and Indian corporates attending the grand event. Mahindra & Mahindra Chairman Anand Mahindra, Suzuki Motor Corporation Chairman Osamu Suzuki, Kalyani Group promoter and Bharat Forge Chairman and Managing Director Baba Kalyani, Toyota Chairman Takeshi Uchiyamada, Tata Motors CEO Guenter Butschek and Ola promoter Bhavish Aggarwal were in the audience as Modi spoke. Anand Mahindra, chairman of the Mahindra group, who spoke on the occasion, said mobile applications that offer shared and connected multimodal transport options between long distances will change the way people live.